Nakhon Si Thammarat is a province which makes for a charming alternative destination away from the busier tourist areas in the south of Thailand. With a history dating back more than 1,800 years, the city of Nakhon Si Thammarat is regarded as the most important religious and cultural centre in southern Thailand. But it isn’t just history and heritage which draws discerning visitors here. Nakhon Si Thammarat province has a long coastline along the Gulf of Thailand and with some glorious undeveloped beaches and beautiful scenery, Nakhon fully justifies its motto as the ‘land of sea and mountains’. The most famous sight in the city of Nakhon Si Thammarat is the impressive temple of Wat Phra That Woramahawiharn. Not just the most important temple in the province, but one of the most important Buddhist sites in the whole of Thailand. With ancient wats, the remains of the old city walls and pleasant open spaces, Nakhon Si Thammarat is an atmospheric city to walk around. Make your way to the helpful Tourism Authority of Thailand (TAT) office who have some excellent maps in English with suggested walking routes which take in the main attractions of the city. The area behind the TAT office on Tha Chang Road is also home to handicraft and souvenir shops featuring decorative jewellery and nielloware. 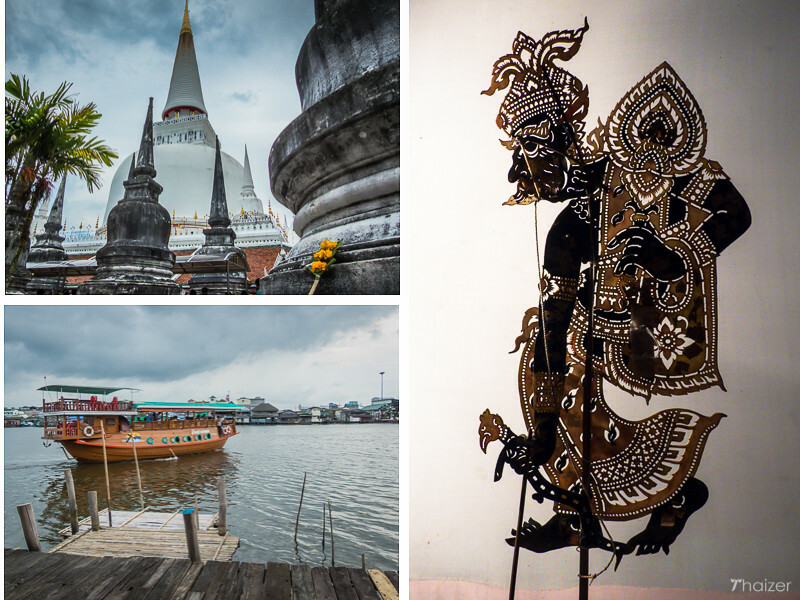 Southern Thailand is home to the traditional shadow puppet performances known as Nang Talung. Famous local artist, Suchan Subsin, has played a crucial role in preserving this ancient tradition. His traditional wooden home in the city of Nakhon Si Thammarat is now a museum and a venue where visitors can see shadow puppet performances. Approximately 30 kilometres west of the city, the villagers of Ban Kiriwong have formed a local co-operative producing arts and crafts. With river views, some quaint antique shops and good food aplenty, Ban Kiriwong is an interesting half-day tour. The village itself sits at the foot of the mountain known as Khao Luang. 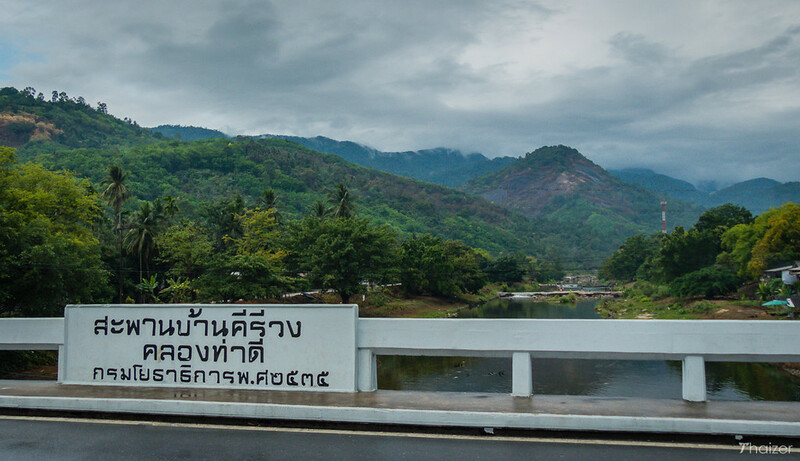 Pak Phanang is one of the best-known destinations in Nakhon Si Thammarat province. The district is home to a royal project on the river estuary which separates sea water from the fresh water upstream creating opportunities for farmers and fishermen alike. Pak Phanang is also home to the unique ‘bird condominiums’ where swifts birds nests are harvested to make birds nest soup. 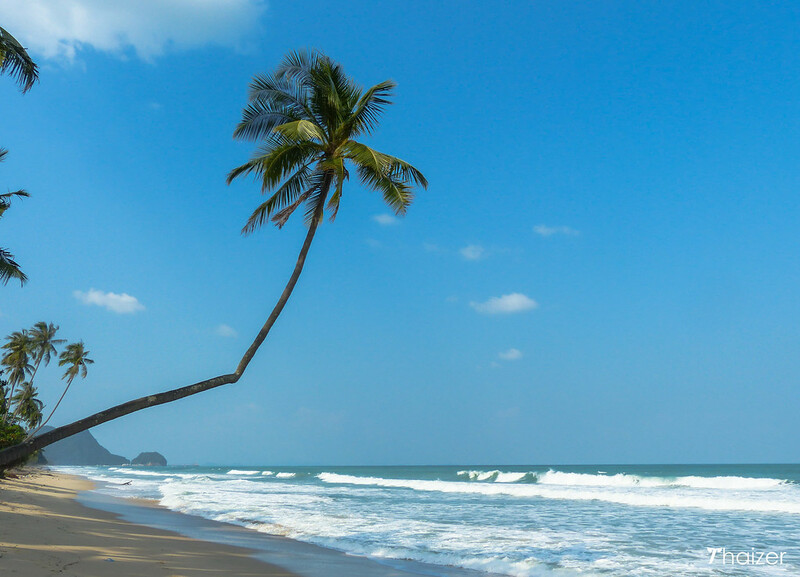 The unspoilt beaches of Khanom are the perfect antidote to claims that beaches in southern Thailand are crowded and too commercialised. Khanom is famous for its pink dolphins, known in Thai as ‘loma si chompoo‘, which tend to hang around specific areas off the coast increasing the likelihood of seeing them if you arrange a trip with the local boatmen. To explore the historic sites of Nakhon Si Thammarat by foot, stay at one of the hotels or guest houses in the central city area. There are alternative accommodation options away from the heart of the city, but unless you have your own transport getting around may mean relying on taxis. Nakhon Si Thammarat’s historic role as a trading route has left a legacy on the food of the region. With influences from Malaysia, China and India, Nakhon is particularly famous for its rotis and its kopi shops. Being such an important religious and cultural city, Nakhon Si Thammarat is a good place to experience some important festivals. The city hosts the Hae Nang Kradan Festival in mid-April whilst in September it’s time for Sat Duen Sip which pays respects to dead ancestors. Hae Phra Khuen That is a colourful procession held twice a year, on Makha Bucha Day and Visakha Bucha Day where Buddhists pay homage by wrapping cloth around the chedi at Wat Phra That Woramahawiharn. The easiest way to get to Nakhon Si Thammarat from Bangkok is by air. Nok Air and Air Asia both operate flights to the small airport (code NST) 15 km north of the city centre. Air Asia also operate a direct service from Chiang Mai to nearby Surat Thani where it’s possible to make transfers by taxi or mini-bus south to Nakhon Si Thammarat. If you are staying in the beach area of Khanom in the north of Nakhon Si Thammarat province, the airport at Surat Thani airport is another option. Departures for Nakhon Si Thammarat from Bangkok Hualamphong train station with a journey time of around 15 hours. Buses depart from Bangkok’s Southern Bus Terminal with journeys taking approximately 12 hours. If you’re in the region to explore Ko Samui, Ko Pha Ngan or Ko Tao, Surat Thani has good connections with Nakhon Si Thammarat. Air-conditioned buses are frequent between the two cities taking approximately 2.5 hours. There are also regular buses to Khanom if you are heading to the beach. Songthaews only operate on certain set routes within the city area with a price of 10 Baht per person. Outside of the central city if you don’t have your own transport there are taxis and motorbike taxis. Frequent mini-vans also serve nearby destinations.